When I tried to join the server to let you know I have posted a comment in the Battlefield 2 forum it says I have been "Banned for excessive team killing". Interesting seeings how I do not remember the last time I tk'd anyone on your server. Can you check it out please?r. Please unban me.yone on your server. Please unban me. When I tried to join the server to let you know I have posted the below comment it says I have been "Banned for excessive team killing". Interesting seeings how I do not remember the last time I tk'd anyone on your server. Please unban me. The following was sent to me by Discord as channel chat that I missed and may be of concern to you. Not sure who this HaKKeR DesTRoYer guy is and what was doing exactly but it looks like he was shadowing djbattlefield and in the first link it clearly shows djbattlefield using a location/tag hack as all of the opposing teams tags and locations are clearly visible. That was bad enough but reading thru the rest of his comments, you can tell he's mad so his comments are not clear, it appears as if he is saying that =SWE= =BRANDONMARTIN= is the same guy just with a different tag. That is of concern because he has been active on your server and being a complete jerk. I used the 'c' word on him today and got kicked but it was worth it. If I see him on your server I will not be joining until he is gone. But you may want to look into this. 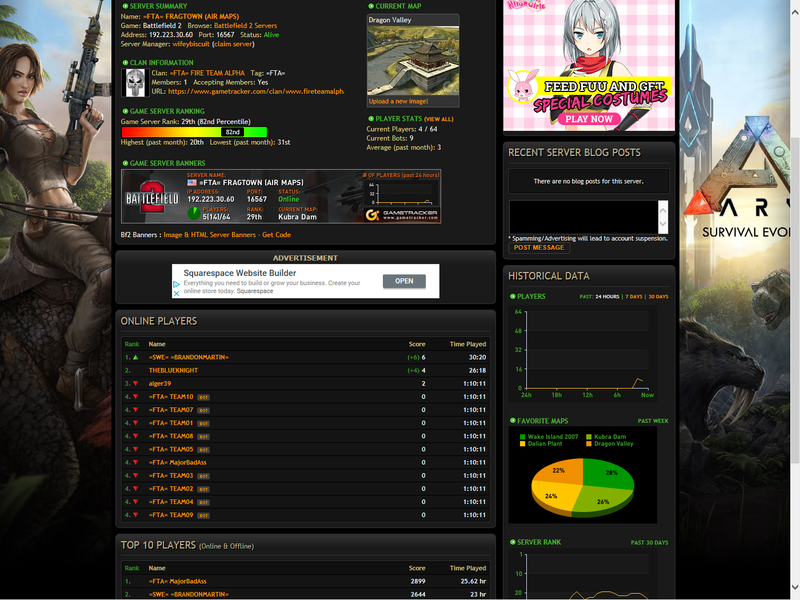 People like this djbattlefield/=SWE= =BRANDONMARTIN= tend to clear servers. UPDATE: When I try to join the server to let you know I have posted this comment it says I have been "Banned for excessive team killing". Interesting seeings how I do not remember the last time I tk'd anyone on your server. Please unban me. If you have any problems connecting, please post them here so we can stay up with it. Please use this thread only for posts relating to connection problems. Otherwise, please start a new thread. Boss_Warrior made it into the server?